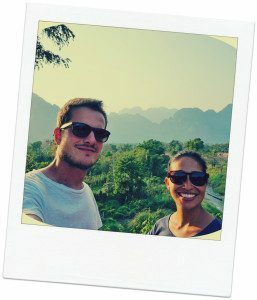 We commenced on a 10-day Andalusia road trip and put together a small guide along with some inspirational photographs to encourage you to visit this beautiful region. We started our trip in Sevilla and flew back from Málaga. The reverse way is also possible as these two airports have the best connections. 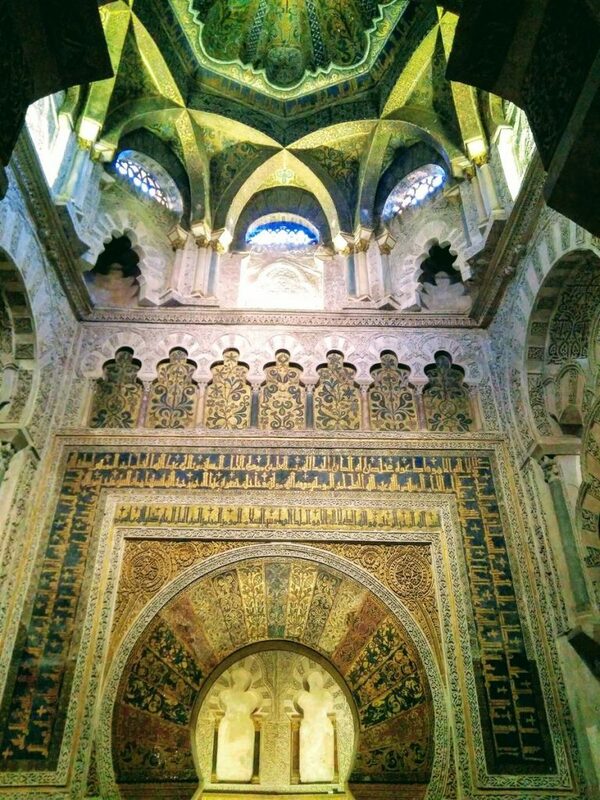 Sevilla, or Seville, was our starting point in our Andalusia road trip adventure. Actually, it is both a great starting or ending trip point as the flight connections to here are very good. 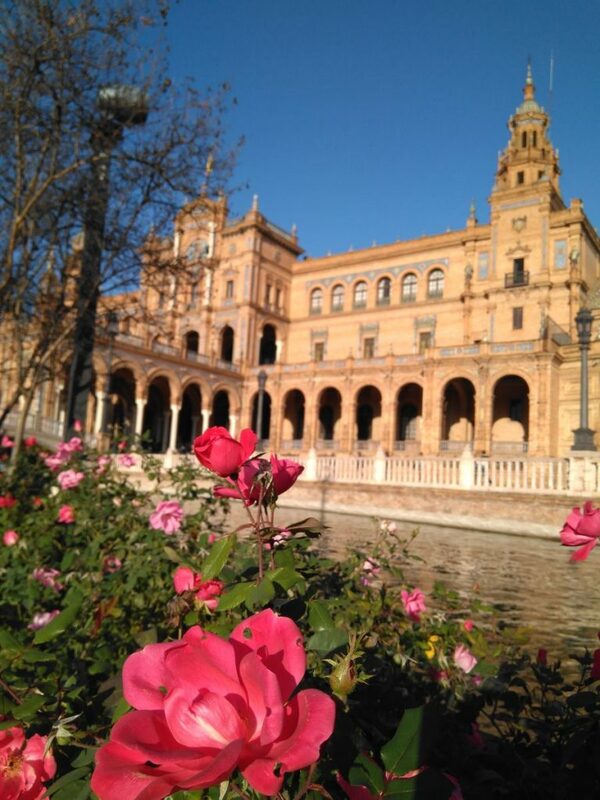 Seville is the capital of the Andalusian region and home to a variety of things to see and experience. 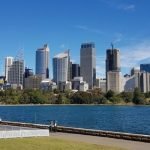 It is quite an active city and you can easily spend 3-4 days exploring it. 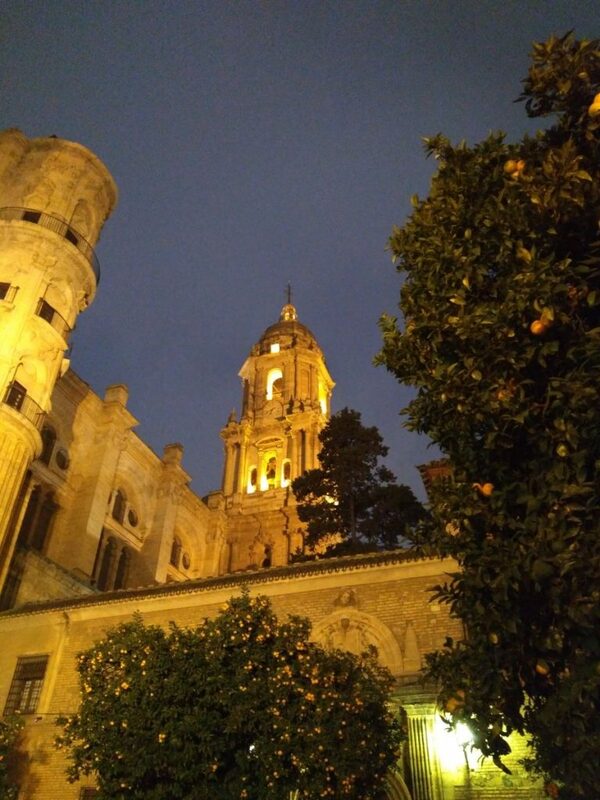 Its main and most iconic landmarks are the Cathedral, La Giralda, the Alcázar and the Plaza de España. 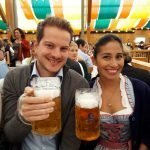 All are quite touristic spots but are definitely worth visiting. 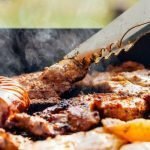 If you want to find good places to get some local food and enjoy some beers you should head to the Alameda de Hercules – a street packed with restaurants and cafés, ideal for a night out. 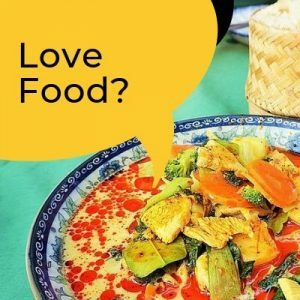 In fact, we can recommend the restaurants of Eslava, the Feria Market and a place called Blanca Paloma (located in the Triana district) for some delicious foods! 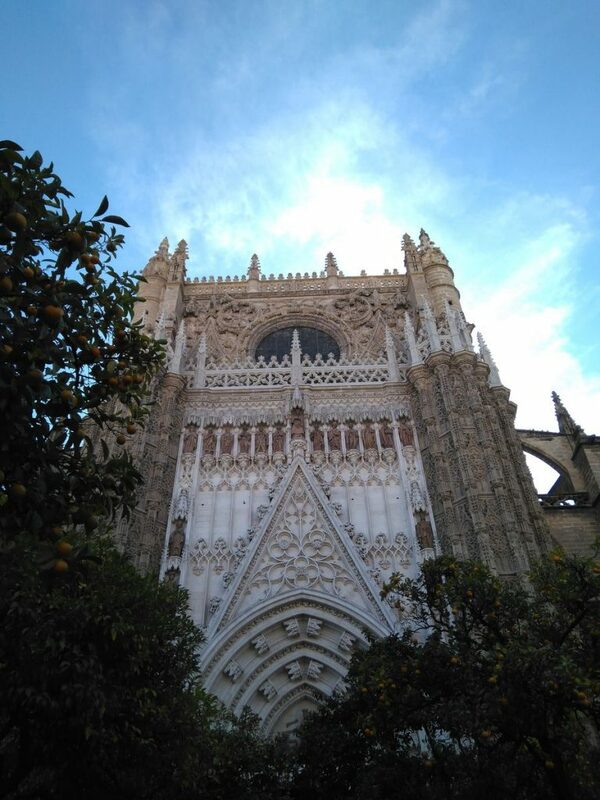 Day-trip: Explore the surrounding areas of Seville such as the beautiful port city of Cádiz or go walk through the nature reserve of Parque Doñana. 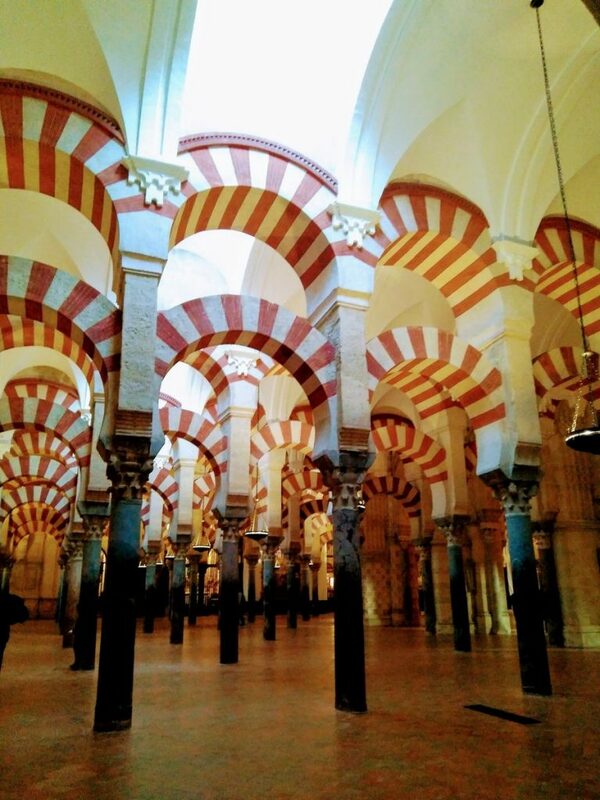 Once a very important city of the Roman Empire as well as a major Islamic Center in the Middle Ages, the town of Córdoba is worth another stop in your Andalusia road trip. 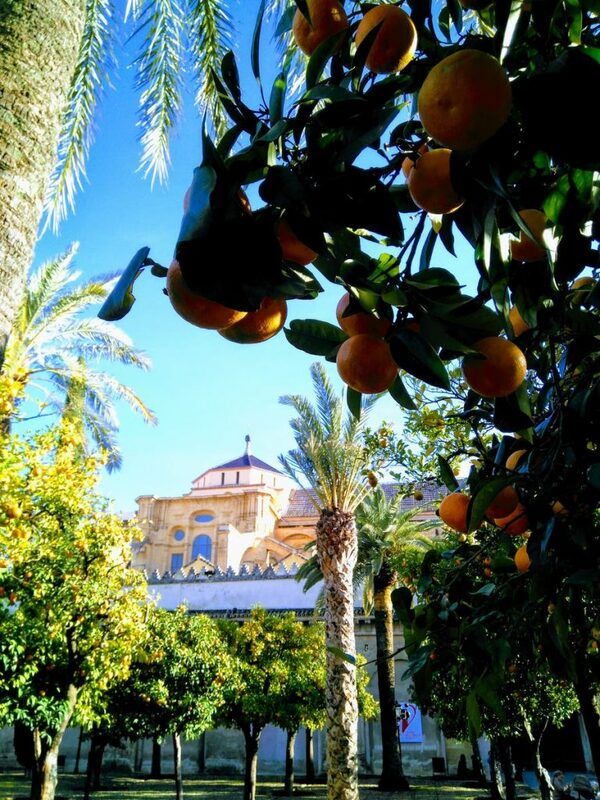 It is especially known for one of the nicest and interesting constructions in Andalusia – the famous Mezquita. The Mezquita is a Mosque which holds Catholic, Renaissance and Islamic elements within it, making it a very unique piece of architecture. Take your time and explore its marvelous insides such as the columned prayer hall, the Byzantine mosaics and the Mihrab. Make sure to also cross the famous Roman Bridge over the Guadalquivir river. Food and drinks can be found plentiful here. 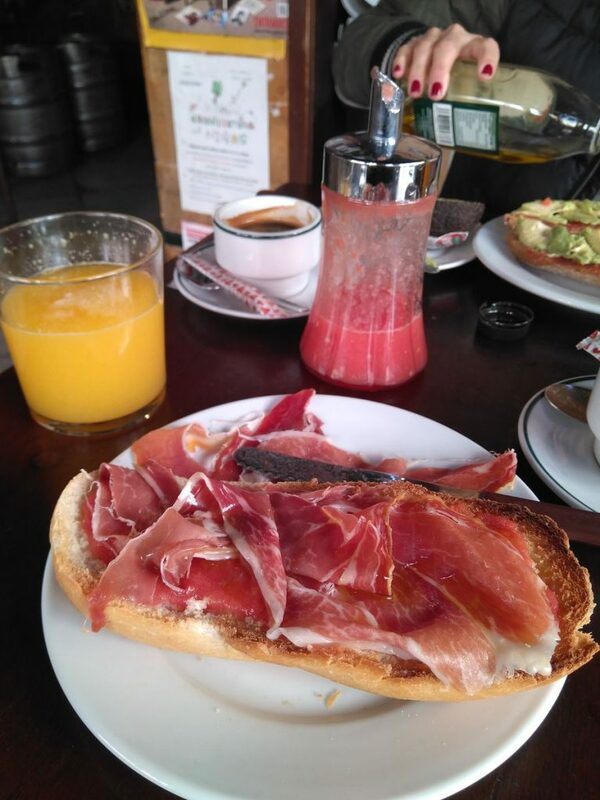 We can particularly recommend Salinas (great local food), La Libélula (vegetarian) or La Bicicleta (smoothies & breakfast). Scenic Views: Make sure to climb up the Torre Campanario located right by the Mezquita to get the best views across the town! 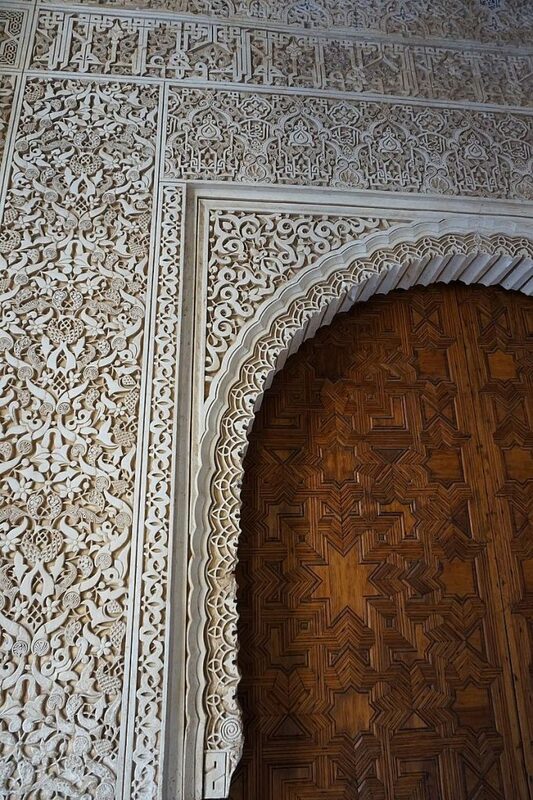 Granada can definitely be seen as a personal highlight during our Andalusia road trip. 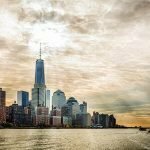 The city has tons of places to see and things to do and has a great mix of modern city life and historic & traditional culture. 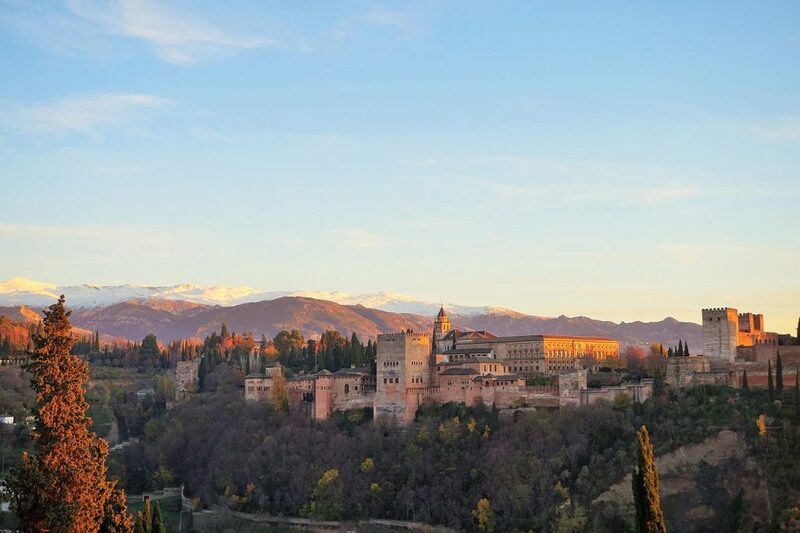 Granada’s must-see landmark and a place you have to visit is the famous Alhambra. 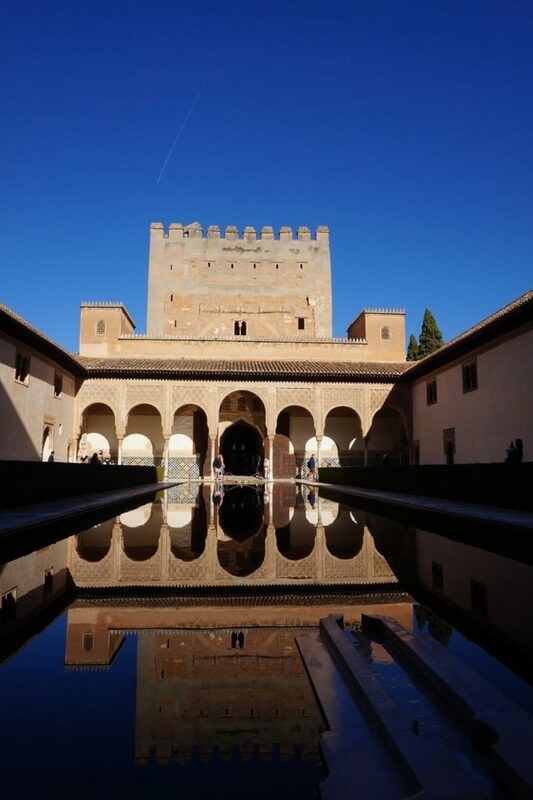 Its a hilltop fortress complex with various palaces, gardens, pools and patios and is probably the most fascinating places you will visit throughout Andalusia. Make sure to book your entrance tickets online in advance! 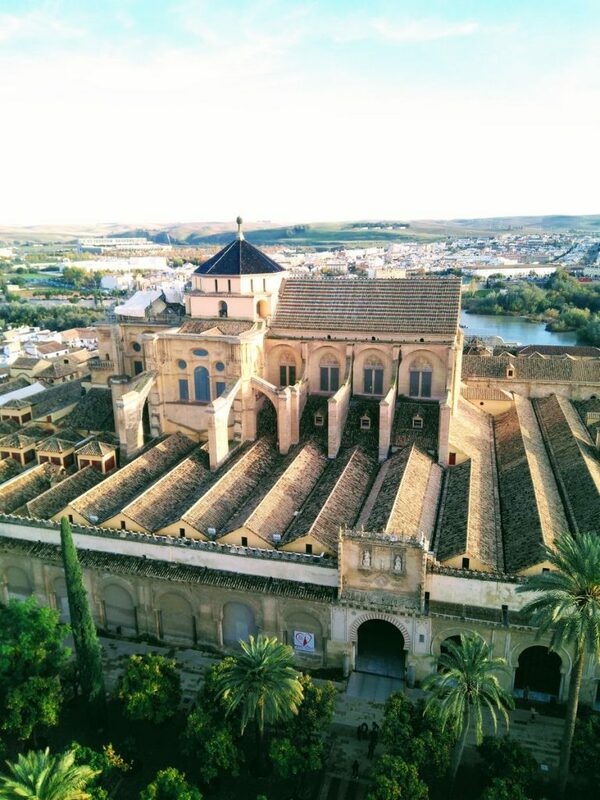 Other great spots to discover are the Royal Chapel, the district of Albaicín and the Cathedral. 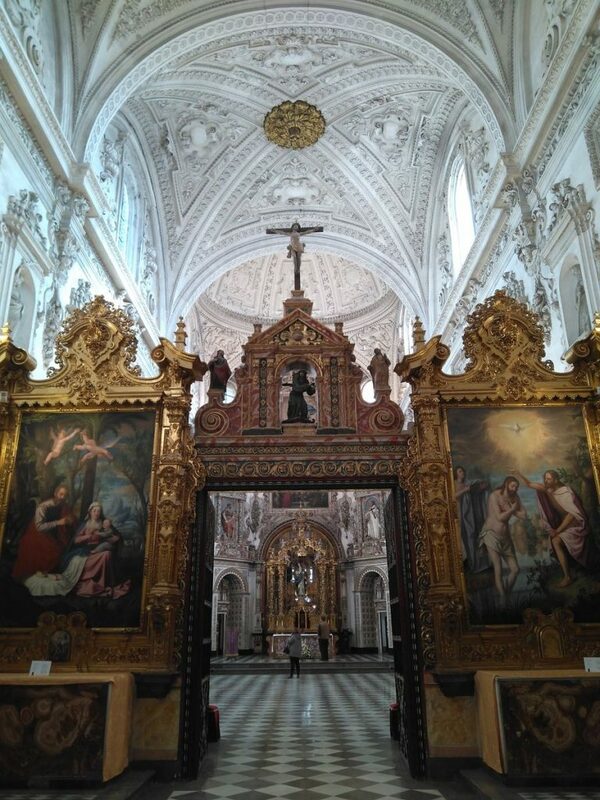 Secret Tip: Have a look at the lesser-known Basilica of San Juan de Dios, its worth a visit! 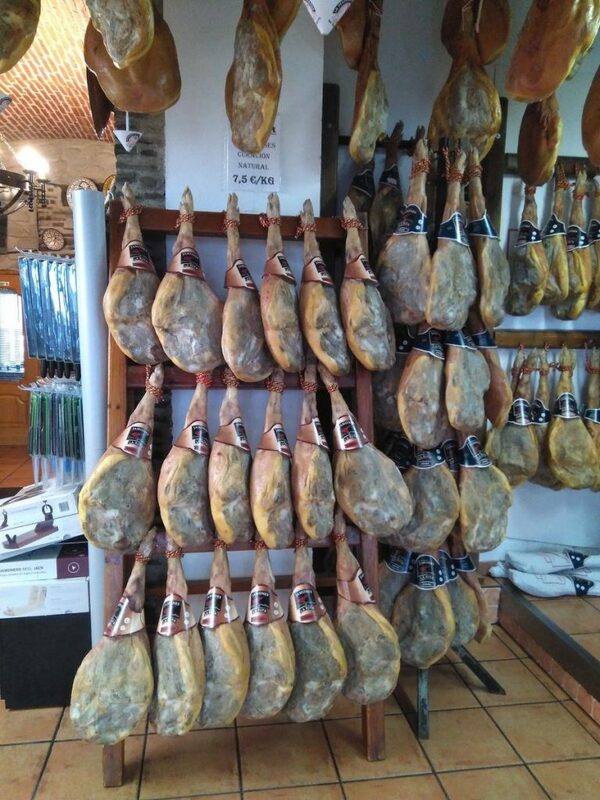 One thing you will always come across in Spain is the Jamón, a dry-cured ham. Its an integral component of the Spanish cuisine and you will find numerous places within the country that produce it. One of the most famous places for this ham is the small mountain village of Trevélez because of its perfect ham-drying climate. 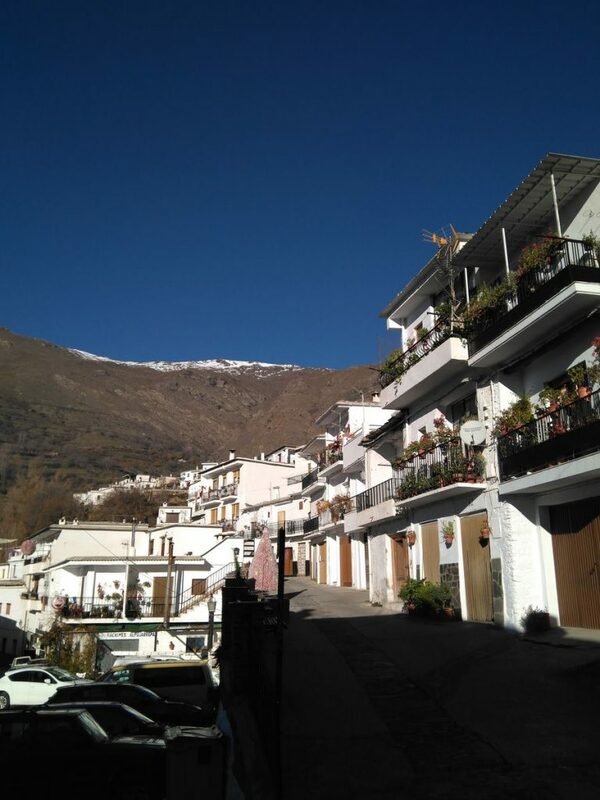 Located at around 1,500 meter high within the Sierra Nevada this village was the most rural and off-the-beaten-track destination during our Andalusia road trip. 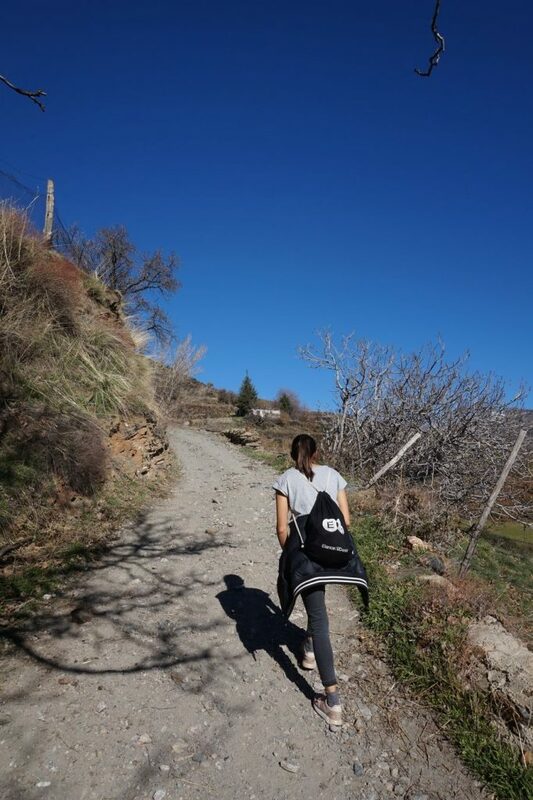 We actually stayed one night here and really enjoyed not only the famous ham but also a nice hike up the beautiful mountains surrounding this village. A recommendable place to both stay and eat is the La Fragua. 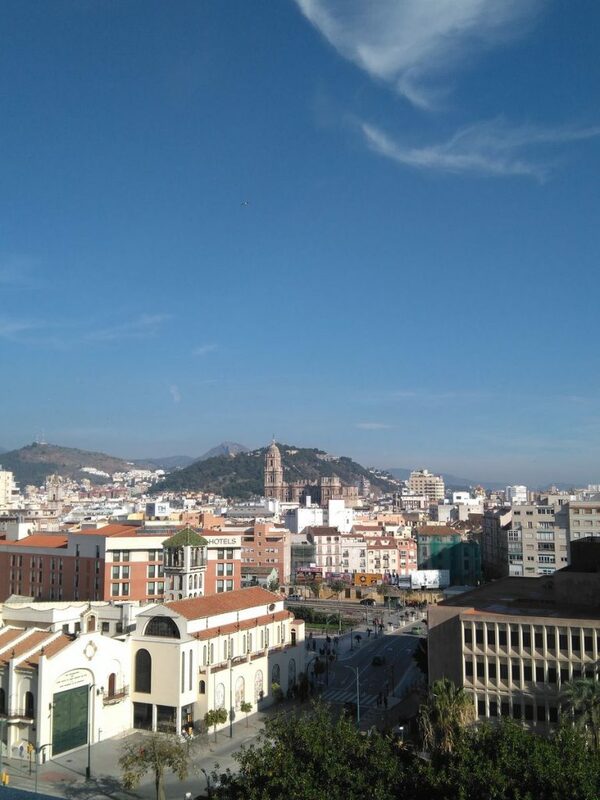 Probably one of the more touristic and less authentic stops of our Andalusia road trip but still worth to stay for a day or two is Málaga. The city is known for its great location along the Costa del Sol – a long beach area full of high-rise resorts and hotels. As we went in December the beach and swimming was not really an option. Yet there are still other things to see and do. 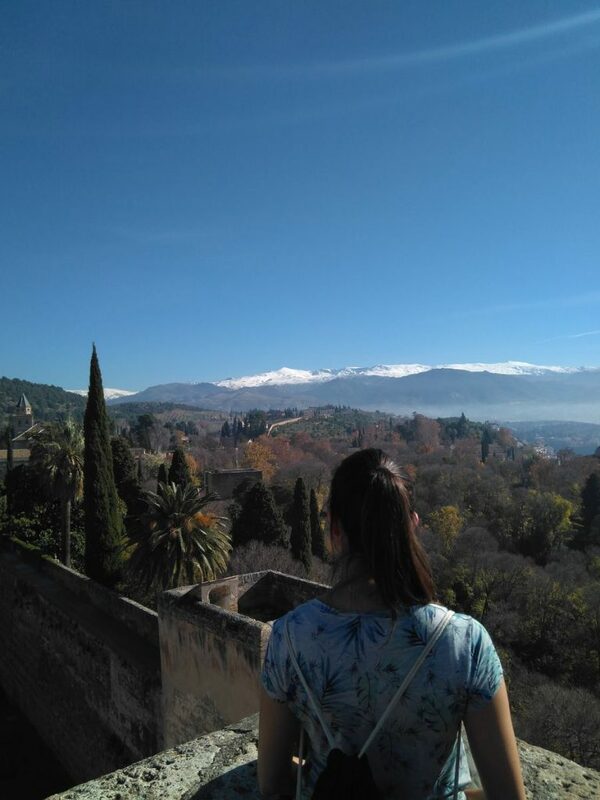 One major landmark is the Alcazaba which is a Medieval Moorish palace with a sea view. 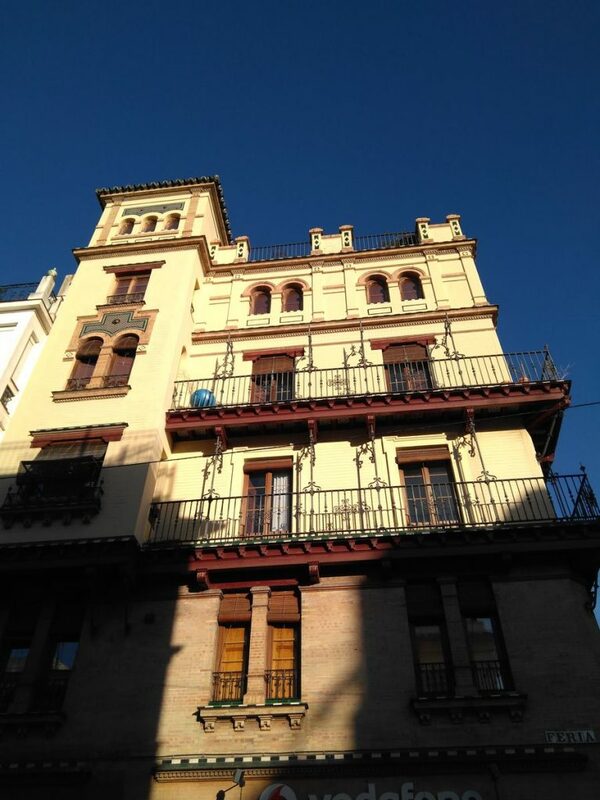 You can also visit the Museum of Málaga’s most famous child, Pablo Picasso or take a nice walk along the port full of restaurants and shops. 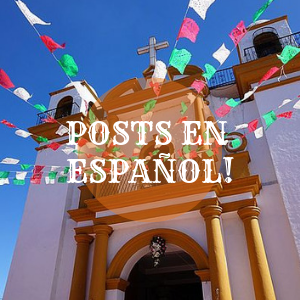 We hope to have given you some inspirations for your Andalusia road trip adventure. 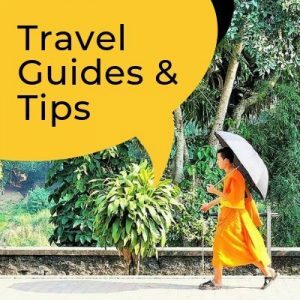 The length of stay at each destination obviously depends on your preferences. 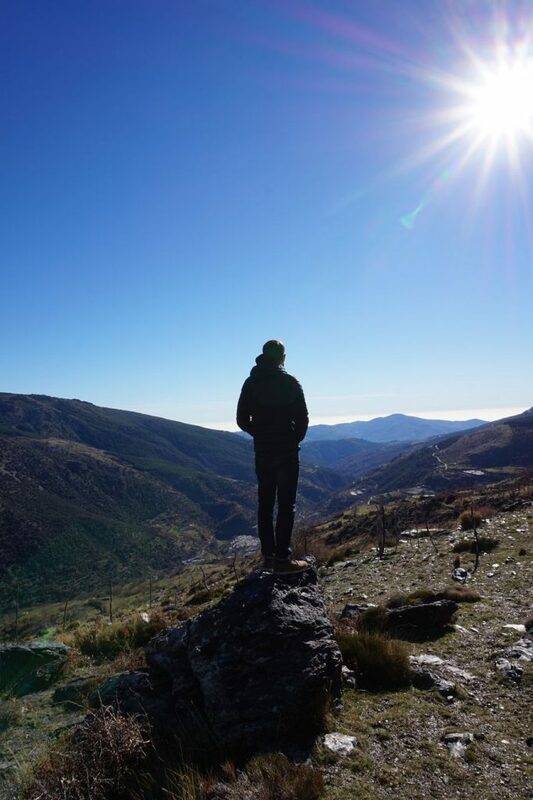 Please feel free to contact us for any other questions you might have before commencing on a great trip to Spain’s beautiful South! Nice summary – I want to visit Gibralter – I heard they have the world’s largest underground wine vault. Not sure if you were able to also visit Gibralter since your itinerary took you not to far from there. Hi Kathy, many thanks, no we didn’t visit Gibraltar. I never really considered but perhaps its a nice place to see. Do let us know if you manage to visit!